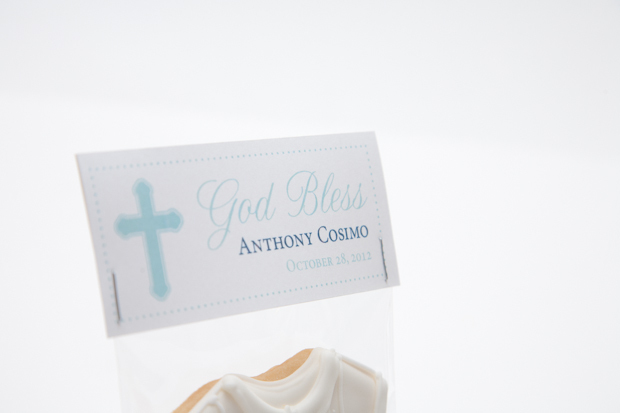 Christening Cookies for a Baby Boy! 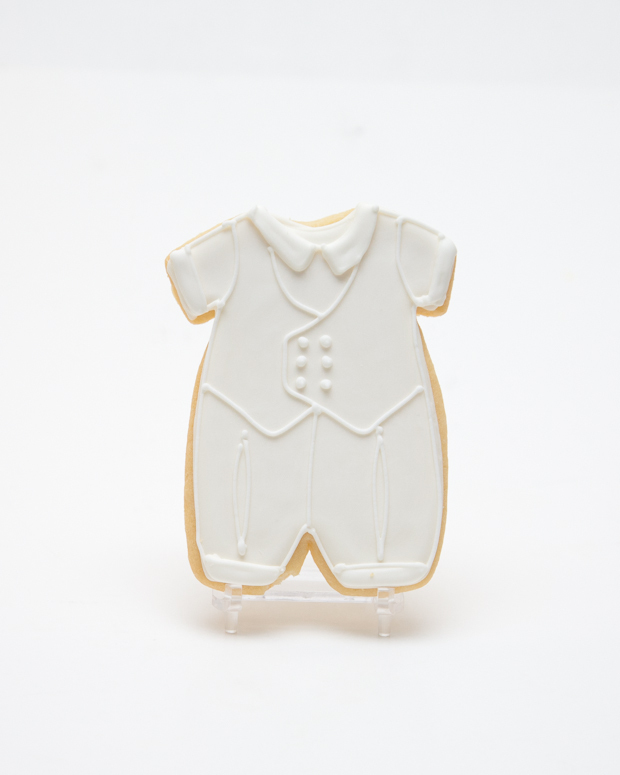 I made these jumper cookies for a baby boy's christening for sweet baby Anthony. 100+ (!) 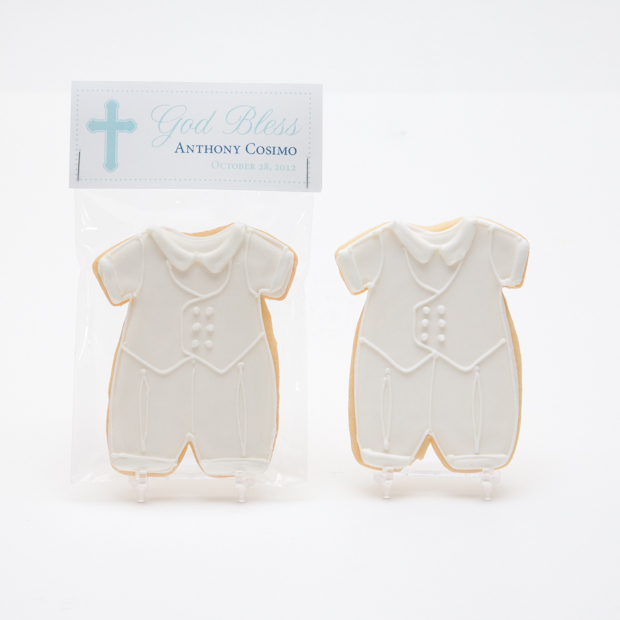 of these adorable little outfits were ordered by my mom's lovely friend and co-worker, Christine, who also ordered the cake for the Christening from my mom (in NY). 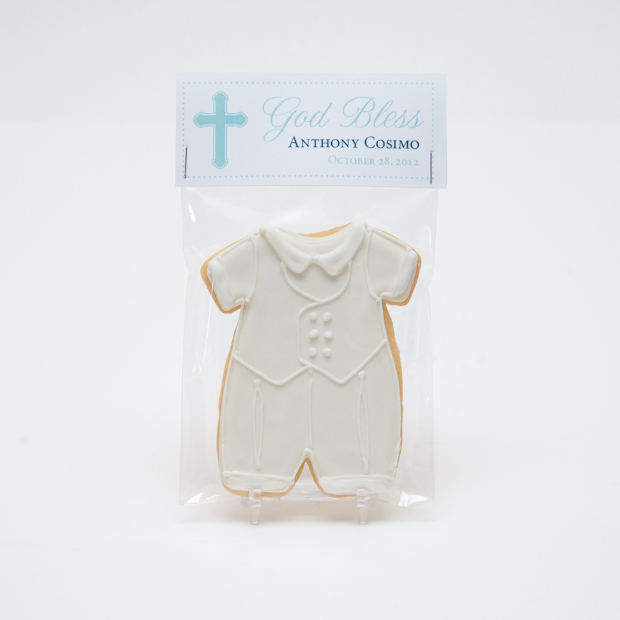 The best part of all of this, though, is that the cake and cookies were designed after Anthony's real christening outfit. I mean, come on! 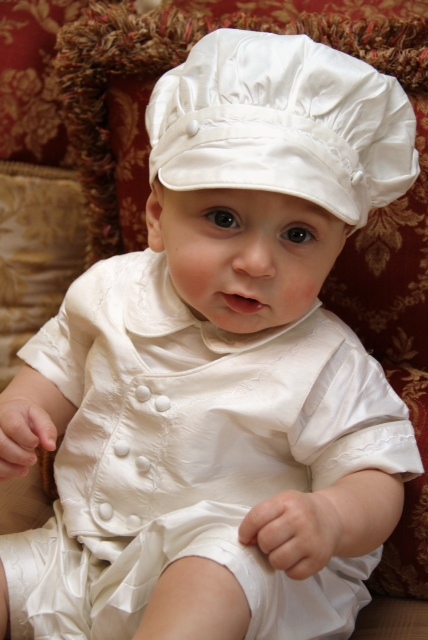 An unbearably cute photo and a beautiful baby boy!! 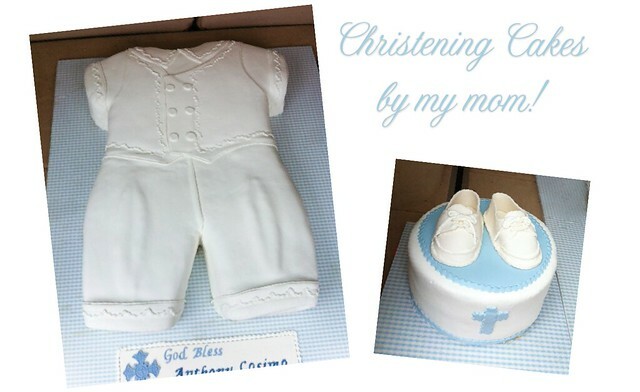 Thank you so much, Christine, and congratulations to your family and son on his special day!